Chamber music is an essential part of leaning to play an instrument, and these versatile quartets are written so that they can be performed by any combination of four string instruments. Arranged by prominent string pedagogue Doris Gazda, these pieces will sound full and satisfying with only four players all the way up to a full string orchestra. The selection of music in this collection covers a wide variety of musical styles that will provide hours of enjoyment and performance options. 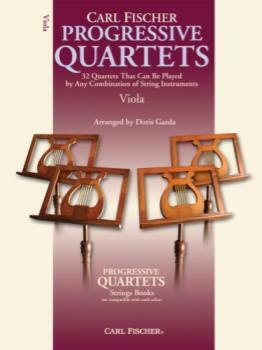 Progressively organized by level of difficulty as the performers advance in their skills, these quartets are a welcome addition to the repertoire of all string players.